Our waste management company offers a very wide range of services, including a very comprehensive garden clearance service that will not only improve the way your outdoor space looks like, but also turn maintaining your garden into a truly hassle-free endeavor. 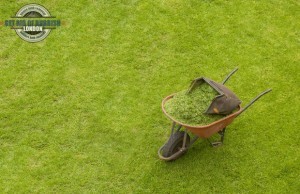 We work with a team of very well trained garden junk removal specialists in London. They are acquainted with all the most efficient methods that are used in our business, but that is not all. They also have intimate knowledge in the field of gardening, thus they know how to approach cleaning every garden in the most efficient way that will not only prevent any damage to your plants occurring, but also greatly improve your garden. Our firm has a team of garden waste clearance experts operating in every district in London. Our services are preferred by residents of the affluent suburban boroughs of south west London, which are traditionally known for their large detached Victorian and early Edwardian houses with huge beautiful gardens. We have had the chance to be at the service of hundreds of residents of Kingston, Richmond and Hounslow. That does not mean however that we are not ready to take up your project, even if you do not live in one of those boroughs. We are very proud of our garden clearance service, and we are ready to do whatever we can in order to live up to our reputations. Disposing of any plant waste accumulated in your outdoor space. Get you rid of any small construction junk and other garden rubbish. Our experts would be very glad to take up your project, regardless of its size and levels of complexity. 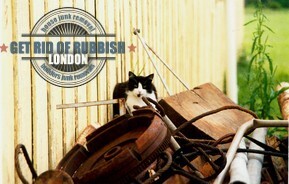 You do not have to do anything when you have Junk Removals London by your side. We have all the necessary equipment and know-how to tackling any project you hire us to do. We operate with state of the art tools and our huge fleet of modern waste disposal vehicles is well maintained, so the best results in your project are going to be achieved in very short time. It is needless to say that the results are going to be impeccable. Each and every one of the members of our team is a trained expert in the field of garden junk removal. We have tailored a special training program in order to ensure that our technicians are acquainted with the latest trends in the industry and know how to do a job right. We receive constant positive feedback regarding our services, and specifically our expertise in garden clearance is so well known that most of our business today comes from recommendations. We will accept it as quite a normal thing if you have heard about us from a family member, colleague, neighbor or a friend. For us, this represents the best kind of advertising. You know you can count on us, because many people did that in the past and none of them has been let down. Do not forget that a garden that is cleared off from junk is always better than one that is cluttered. Once the job is done, our technicians will gladly talk with you and give you useful tips for the ways in which you can improve your garden. We are talking about everything, from trimming hedges to building composts and even flowerbeds. All our collection and disposal experts truly love what they are doing, and approach every project they have been hired for with true passion and zest. If you have any further questions concerning our services and methods of work, please do not hesitate to get in touch with our around the clock customer support team. Our polite and very well informed specialists will give you all the information you want and take the time to discuss your project at length with you. Call us today on the phone numbers provided here for booking and requesting a free no obligation quote. Make your garden a much better place by getting our teams take care of its clearance. London is home to some 10 million people. It is the largest and most complex of all British cities, and is reputed for dozens of reasons. Some of the finest gardens in the world – private and public – are located here. Among them, the parks in Kingston and Kew Gardens are, almost certainly, the finest.